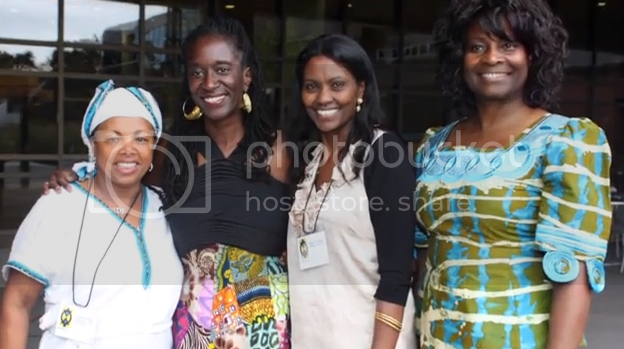 In 2011, Jacqueline Copeland-Carson, Ph.D. (pictured 2nd from left) became executive director of the African Women’s Development Fund USA (AWDF USA). Her global charitable fund provides a vehicle for effective American philanthropy to Africa and builds the capacity of the continent’s women for social change and sustainable development. Dr. Copeland-Carson has worked as a philanthropy scholar and practitioner for almost 30 years, internationally and in the United States. She has been an executive, grantmaker, evaluator, strategist and researcher for numerous foundations, including the TY Danjuma, Philadelphia Foundation, Noyes, Women’s Funding Network, Grantmakers Concerned with Immigrants and Refugees, Institute for the Future, Bertelsmann, U.S. Bank Private Client Group and many others. Her writings are influential and examine issues in globalization, diaspora studies and social theory, evaluation, women’s leadership, and development. She is author of several articles and books on African development issues and a philanthropy blogger for Huffington Post and other online publications. A recent Ubuntu Award winner, Dr. Copeland-Carson was recognized by Priority Africa Network for her contributions to African people’s development. She also was a recipient of the Bush Foundation’s prestigious Leadership Fellowship for her contributions as an activist scholar. Dr. Copeland-Carson served on the boards of more than 20 nonprofit organizations, and founded the Pan-African Women’s Philanthropy Network, a rapidly growing diaspora philanthropy community. Dr. Copeland-Carson is a graduate of University of Pennsylvania, where she attained a doctorate in anthropology and two master’s degrees, in urban planning and in cultural anthropology. She holds undergraduate degrees in literature from Georgetown University, with a certificate in African studies from its School for Foreign Service, including studies at Nigeria’s University of Ife. Below are thoughts she shared for our “Of Dreams and Mountaintops” interview series. What are your thoughts on where America and the world stands 50 years after Dr. King’s “I Have a Dream” speech? America and the world are at a crossroads. On the one hand, we have the country’s first Black president with a recent African heritage—something unimaginable 50 years ago. But at the same time, we are witnessing a post-recession erosion of civil rights laws, economic opportunity and mobility, and community compassion represented in policies like the Stand Your Ground Law and more. Worldwide, our basic social and economic systems are at a breaking point. Many economies are growing at the same time environmental degradation and social disparity increase. My hope is that we all realize that promoting King's “dream” of social justice for all is not political but an absolute moral imperative for the sustainability of our communities and the planet. The dream that I work for everyday is a world where everyone, including Black people and women worldwide, have an equal opportunity to realize their innate talents and live with dignity. Because of the support of others throughout my life, I have been fortunate to have many accomplishments as a philanthropy professional. But my highest personal achievement has been my personal philanthropy and volunteerism to create a global network of diverse women devoted to giving to Black communities everywhere as well as UN recognition of Black Philanthropy Month (BPM)—both of which are now AWDF USA projects since I became executive director. My hope is that both the network and BPM help to build a global coalition of social justice movement for Mother Africa and her children worldwide—including the Black diaspora and our allies of all backgrounds, as we are, in the end, all Africa’s progeny. Religious texts, especially the New Testament, but also scripture of other religions have influenced my sense that giving back is not only socially responsible but morally necessary to maintain balance and justice at all level of society and the universe—the Golden Rule, Karma, etc. 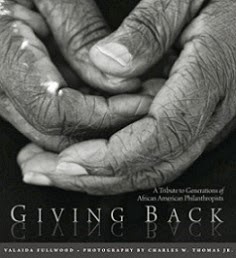 As an African American with Gullah roots from South Carolina raised in Philadelphia, I would have to say my first reading of the Slave Narratives as well as many of the classic autobiographies from America’s slave period have most influenced my devotion to social justice philanthropy and a global sense of Black philanthropy. These first-person accounts document our people’s amazingly resilient social networks, diversity and cultural creativity, reminding us that our traditions of giving and mutual support can change our condition and the world. Read Dr. Carson's op-ed in the Huffington Post, "Black Philanthropy Month 2013 and Beyond: Support Mother Africa, Revive the Dream" here. 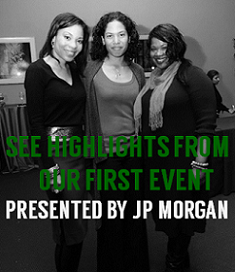 Visit BlackPhilanthropyMonth.com and get involved in BPM 2013: An August of Dreams and Mountaintops.